Today I've got some more doodles for you. 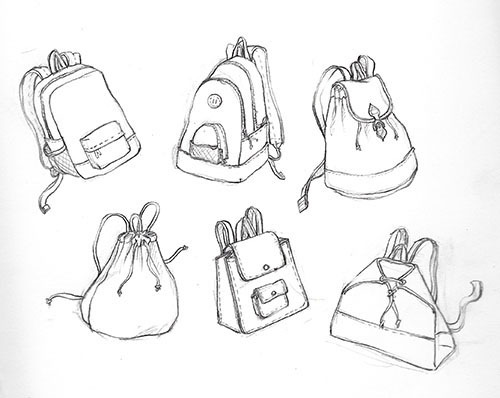 Just some backpacks. I'm still recovering from the weekend. haha. Check back tomorrow for some WIP photos. Happy Wednesday!